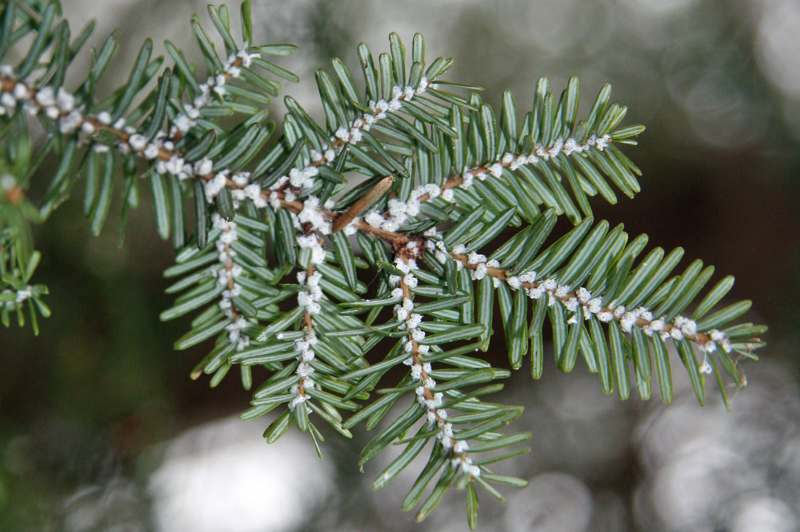 We integrate research, management, and outreach to conserve New York State’s hemlock resources in the face of multiple threats, particularly the hemlock woolly adelgid (HWA), an invasive insect. Additionally, we coordinate state-wide efforts of land owners, state and federal agencies, government officials, and concerned citizens to partner in hemlock tree conservation throughout New York. Want to know more about our work? Email us at nyshemlockinitiative@cornell.edu. HWA is an invasive forest pest from southern Japan that decimates native populations of the Eastern hemlock tree. It is most apparent as white, woolly puffballs clumped near the base of needles along hemlock twigs. Its damage to hemlock trees in southern U.S. states has been immense and, as this insect pest moves north, New York’s hemlocks are at risk. For the past decade, Cornell forest entomologist Mark Whitmore has been working to implement effective biological controls throughout New York to manage HWA populations. 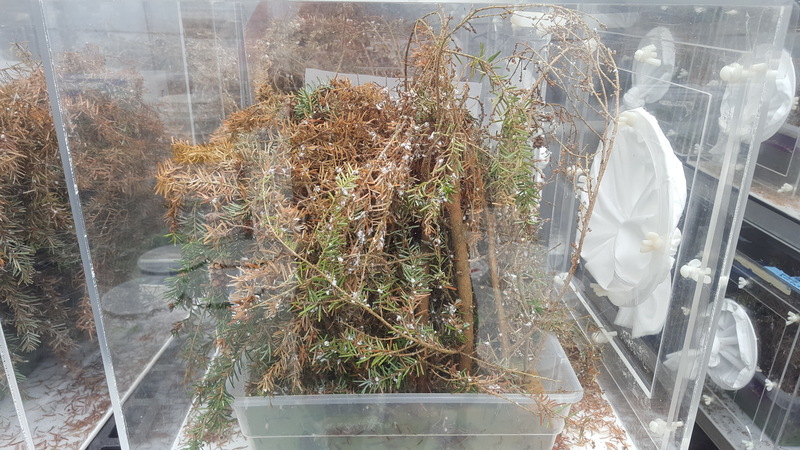 Now a team of thirteen, the New York State Hemlock Initiative is working to improve lab rearing techniques for HWA predator insects, develop field protocols for successful biocontrol establishment outside of the lab, and spread the word about hemlock conservation.